Just been watching some clips from the documentary that won prizes at Sundance and Berlin Ai Wei Wei : Never Sorry. Spend a little time watching it. Become inspired. 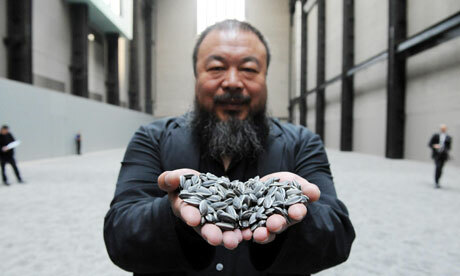 I went to see his Sunflower Seeds piece at the Tate Modern last week. This entry was posted in Uncategorized and tagged ai wei wei, documentary, 艾未未, never sorry, sunflower seeds, tate modern. Bookmark the permalink.